Morning light seeped in, illuminating the threshold, but not digging its way any deeper. With the dawn came the salt-tinged breeze. The surf continued, as it always had and always would, a constant background murmur and throb. It was relaxing, kept the job at hand out of mind. I peeked out from the entrance of the cave. Nothing was moving. I slipped back into the shadow. They’d be here. I knew. I opened the door and took a step, but then froze at the threshold. 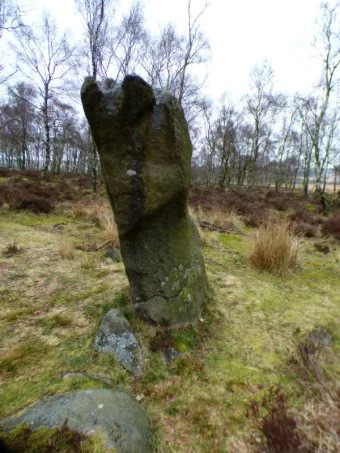 This entry was posted in Fiction and tagged #writephoto, sci-fi, Science Fiction, speculative fiction on April 4, 2019 by trentpmcd. With a slam of the door, Dave entered the tiny apartment and slumped down into a chair. Although the sun was still up, the room was dark. The ratty curtains were pulled tight and a threadbare blanket, adding it’s slim weight, was thrown over the only window. Dave wanted to block out the world, afraid of what he might see, afraid of what he might remember. Hiding the world only went so far. He knew it would catch up to him anyway. After a few minutes of sitting, the walls, as expected, breathed in and expanded out, as if the world was turning inside out, just like during “The Incident”. As he sat there, it felt as if a part of him was being turned inside out as well, ripped from his skull and flushed down a cosmic toilet, just as it had been on that day. The part that was flushed away that day never returned, and yet there was something that took its place, someone else. This entry was posted in Fiction and tagged Fiction, sci-fi, Science Fiction, speculative fiction on March 6, 2019 by trentpmcd. Black. It wasn’t the absence of light, because light could not exist. It was the absence. The absence of everything. Of light, of space, of time: there was nothing. And then there was everything. Everything expanded almost infinitely fast, though it didn’t, since time hadn’t ticked on yet and there was no space to travel. But then, in a small fraction of what some people would eventually call a “second”, the Universal clock ticked on and everything screeched to that ultra-slow speed that the stuff that would eventually be called light traveled. Everything continued to expand at just below this new threshold. He fell into this everything. As he had before and as he would continue to do forever, as long as time existed. He, of course, didn’t exist either. Not yet. He gasped for a breath. Consciousness tried to fight its way to the surface, but was swallowed by the visions. A thousand horsemen raced down onto the village, killing all in its wake. The sea lapped peacefully on the shore as a few people wearing rough furs dug for clams. A spaceship left the sprawling city and descended out of orbit towards the blue Earth below. He shivered. With the shiver consciousness finally won its fight. He sat up, nameless, alone and naked. Where was he? When was he? Why here? Why now? He had slipped again, that was for sure. But he knew little else besides confusion. The fog of his mind lifted. It was a gentle field. His mind first spoke of northwestern Ohio, but then it settled into Brittany. No, that was wrong. Close, but wrong. A shape grabbed his attention. A Chorg! They arrived in the 75th century. But no, it was just a standing stone. It had an odd angular pattern similar to a Chorg’s face, and bumps at the top like the eye stalks, but it was just a stone. He walked over and touched it. There was usually a reason for everything. The stone most likely drew him in. He was always naked when he awoke from a slip. How could it be otherwise? A man and a woman were approaching. Clothing always helped. They were dressed for winter. They were also dressed for the late 20th century or the early 21st. Much experience taught him what to do. The couple drew back, shocked at the appearance of the naked man in front of them. The man took off his coat and handed it to him. “Let’s get out of this cold,” the man said, leading them back from the stone. This was a routine perfected from countless encounters, a trick of the trade for the timeless. But now he had hardened into a time and needed to figure out why. Written for Sue Vincent‘s #write photo prompt. See this week’s prompt here. This is the second take on this story. Here is the first. 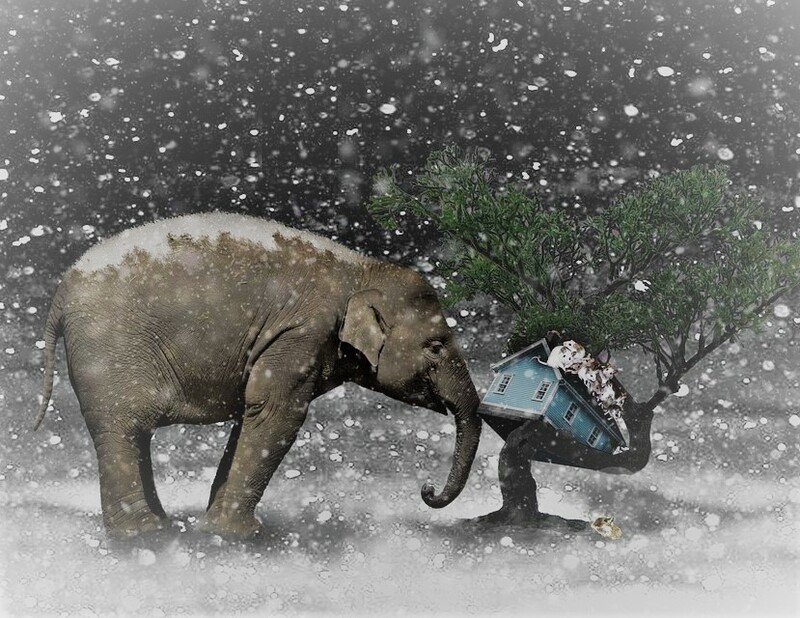 This entry was posted in Fiction and tagged #writephoto, sci-fi, Science Fiction, time travel on February 26, 2019 by trentpmcd.